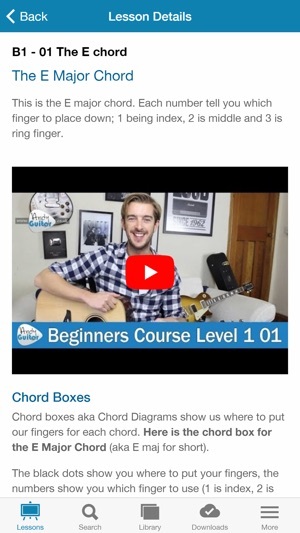 Learn guitar with Andy Guitar - here you’ll find hundreds of free online guitar lessons including song tutorials, a beginner course, help with strumming and answers to common questions from learning guitarists. All the benefits of a paid subscription app - for free! 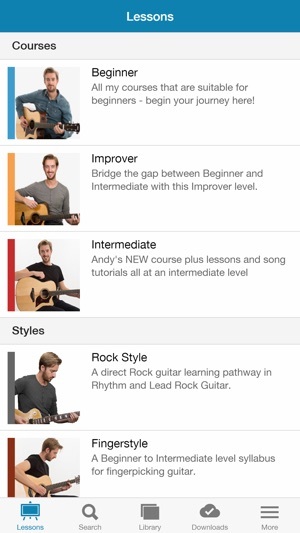 The Andy Guitar app is a great way to access the video lessons, courses and other materials available on the Andy Guitar website. No account is required but if you have an account, your content is perfectly synchronised across the website and your devices. Download your courses to your phone or tablet, for offline use or if you have a slow connection and you're sick of buffering. What's more, the app features exclusive lessons and courses - not available anywhere else. Simply get signed in, and then browse the app exclusives in your library. Improves usability in the library tab. 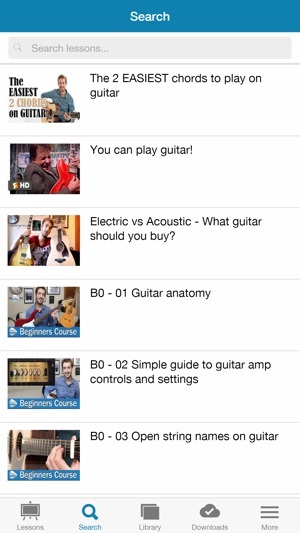 This is a brilliant app to complement a brilliant guitar course. 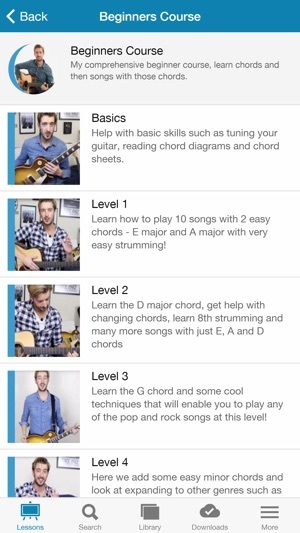 Following Andy’s online lessons has made learning the guitar a really fun and hassle free process. All the lessons are laid out really well and the way the songs are broken down makes it easy to follow and pick up quickly. Thanks for persevering and getting an iOS version of this app Andy. Have been followingAndy Guitar on YouTube since I started to learn to play guitar and have bought a free of his courses and books. This app is a great addition to the online course material and easy to use a sync your previous purchases.